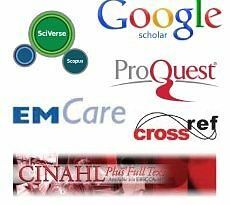 In Cochrane data base, 29 different kinds of interventions were examined in the 71 randomized controlled studies, which are done in order to prevent and reduce the severity of oral mucositis for the patients with cancer.11,12 Amifostine, klorhexidin, ice therapy, pastilles with antibiotic, and mouth care protocols are among these effective interventions. Even though there are lots of different outcomes in different studies, no effective treatment strategies have come out yet in order to prevent and treat mucositis.3,11,13Although there are many researches for prevention of mucositis and for its treatment, they are so limited in pediatric population. Chewing gum, as a non-pharmalogical intervention, has been testing on patients with cancer since 1990’s in order to prevent oral complications and for their treatment as well.2 The main reason, why intraoral complications occurs in the patients, who are receiving chemotheraphy, is that their salivation decreases and their pH level falls radically. It is aimed that these patients’s salivation and pH levels be increased by making them chew gums.7 By the studies on that issue, it is showed that by chewing the salivary flow increase 3- fold to 10 fold and pH level rises significantly.3,8,14 These results are fairly important for preventing oral mucositis, which is the complication of chemotheraphy, and for its treatment as well. Even though there has been some studies on that issue, more evidence are needed to standardize the interventions at clinics.11 The purpose of this study was to assess the effect of chewing gums on preventing oral mucositis and decreasing its severity. This study design was quasi-experimental with a control group. The study was carried out in a university hospital’s pediatric oncology clinic in Istanbul, between August 2011 and February 2012. Sixty children were participated in the study between the ages 6-18 years who had received chemotherapy for hematological malignancies or solid tumours. There were 30 children both in the control and in the study groups. Study and control groups’ children had similar baseline characteristics. • All the children have began the chemotheraphy treatment and they have received chemotheraphy at least once and their treatment has still continued. • They were hospitalized children and they will receive chemotherapy at least 4 times. • In the assessment done at the beginning of the study, none of the children at both groups have a recurrent herpes simplex virus mucositis story and none of them got oropharyngeal radiation therapy. • Oral mucositis severity of the children at both groups varies between grade 1-3. (At the time when the study was conducted, there was not any children who were assessed as Grade 4). After necessary permission had been taken from the institution where the study had taken place, written informed consent was obtained from the parents of each child. In the first interview with child and his/her parent, an information form was filled that identified the demographic characteristics of child and family. Children who were in the study group were chewed non-sugary gums for 10 days and 3 times per day. The recommended chewing time was 20 minutes. Children were instructed to abstain from drinking and eating one hour before chewing gum. During this period the subjects in both of our study groups used tantum mouthwash as a part of standard oral care and were asked to continue their usual tooth brushing. At the beginning of the study, on 5th and 10th days children’s intraoral assessments were done according to WHO Oral Mucositis Assessment Scale and Eilers’ Oral Assessment Guide and pH measurements were taken. Oral assessment and pH measurement was done by researchers. In order to remove the individual measurement differences, all of assessments for each child was done by the same researcher. One of the most important effects of chemotherapy treatment is that it creates a change in salivary pH value from alkali towards acid. The decrease in salivary pH value is one of the most important factor for the occurrence of mucositis. In order to assess the effect of chewing on salivary pH value the other assessment criteria which was taken into consideration in that study was intraoral pH measurement. The pH was measured within 1 minutes after chewing by researchers. The pH value were measured by using pH colormatic strips. During pH measurement test stripes were placed under the tongue and kept there for 2 minutes. Then, change in the color of stripes were compared with reference color scale and pH value was determined. In these stripes, pH value varies between 4.0-9.0. The results were analyzed statistically using the SAS statistical program (version 9.3, 99PVKY, Istanbul, Turkey). Characteristics of the sample were described using mean and standard deviation, frequencies, and percentages. Differences between groups were examined using the Mann-Whitney U test. The threshold for statistical significance was set as p < .05. After detailed analysis of aim, sample, data collection tools and interventions of the study, the necessary permission was obtained from National Ministry of Health. After that; the permission for undertaking this study was obtained from the Hospital’s Ethics Committee. Children and their mothers were informed about the purpose of the study. After receiving verbal consent from both the child and parent, the parent signed a written informing consent form. Participation to the study was voluntarily and the results were recorded confidentially. Between August 2011-February 2012, the total of 60 children were included in the study; 29 boys and 31 girls. The mean age of children was 10.2±2.6 (Range = 6-18). Analysis of the demographic data revealed no statistically significant differences between the control and study groups in relation to age, gender and educational states. The most common diagnosis was acute lymphoblastic leukaemia (ALL) (30%). Table 1 describes the clinical characteristics of the 60 patients. At the beginning of the study, there was no statistically significant difference in the severity of mucositis between two groups. But, at the end of the study, significant difference was found in the mucositis severity of two groups. The mucositis severity and comparison of two groups according to WHO’s scale is shown in Table 2. In the oral assessment conducted according to Eilers’ Oral Assessment Guide, study group’s score was found as 14.3 ± 2.5 (Range = 9-19) and it was 15.4 ± 3.2 (Range = 8-20) in the control group. In the first oral assessment it was not found statistically significant differences between the two groups. The assessment done in the middle of the study that is the 5th day, study group’s score was found as 12.4 ± 3.8 (Range = 8-18) and it was 14.3 ± 4.0 (Range = 8-20) in the control group. In the assessment done at the end of the study, study group’s score was found as 10.8 ± 3.8 (Range = 8-20), and control group’s score was found as 14.1 ± 4.2 (Range = 8-20) and that results were statistically significant (p <. 05). At the beginning of the study, study group’s intra-oral pH value was found as 5.8 ± 0.6 and that of control group’s 5.9 ± 0.3. At the end of the study that is the 10th day, pH values are measured as 6.4 ± 0.2 in study group and as 6.0 ± 0.3 in control group. This result was found statistically significant (p < .05). The comparison of the pH values between two groups was shown in Figure 1. In recent years, the trend of using non-chemical methods for mouth care increased.2,8 Chewing gum starts to be the subject of studies and becomes one of the most important methods of non-chemicals.17,18,19 In this study, the children, who receiving chemotherapy, are chewed non-sugary gums, 3 times a day and for 20 minutes, and a statistically significant difference was found before and after they chewed gums. The rate of children whose mucositis severity was Grade 1, fell from 63.3% to 40.0% after they chewed gum. In the study done by Gandemer et al.17, when the oral mucositis severity of groups are compared, in spite of differences between these two groups, it was found that the result was not statistically significant. In the study which assess the effect of gum on mouth flora by Söderling et al.,20 it is pointed out that mucositis severity decreases in the patient group who chews gum but that result is not significant for control group. The results of our study are fairly important since it is significant. During the chemotherapy, it is an important problem that the amount of saliva decreases, saliva intensity increases and pH value falls. Chewing gum is a convenient way to increase salivary flow and stimulate the activity of the salivary glands. Chewing gum increases salivary flow through a combination of gustatory and mechanical stimulation.21,22 According to the results of the study, before chewing gums, there was no statistically significant difference in salivary pH values between the study and control groups but after chewing gums, pH values of the study group were significantly higher than that of control group (p < .05). Polland et al.,22 found out in their study that the sample group who chews gum for 90 minutes creates a significant difference; also, that difference is the highest at 30th minutes.13 In their study which focuses on the effects of gum on intraoral infections, Ribelles et al.,19 determined that the group who chews gums creates a significant difference in their pH values. In the study by Fraga et al.,23 gum’s effects of streptococcal based on intraoral infections, it was found out that intraoral pH values of the group who chews gum increase dramatically. The results of this study come up with new evidence on preventing and decreasing severity of the oral mucositis for the pediatric group who receiving chemotherapy treatment. Although lots of studies points the effects of chewing gums on preventing of mucositis and decreasing its severity for pediatric group, they are come up with no statistically significant results.6,14 In this study, significant results are occurred in the mucositis severity level for the group who chews gum. According to results, 46.1% falling is found in the mucositis severity of Grade 1 and Grade 2 groups. No method and treatment are accepted for the treatment of oral mucositis. Moreover, a lot of intervention and treatment are recommended for the decreasing of mucositis severity and its preventing. According to the results of this study, chewing gum is an effective intervention of preventing and treating oral mucositis. When its easiness in practice together with financial status are taken into consideration, it can be recommended that chewing gum should take place in nursing care for the children with cancer. There were several limitations in this study. The feasibility of generalizing our findings is limited because only selected patients in a pediatric oncology clinic were included in the sample. Even though the results of this study put important proofs for the mucositis treatment related with cancer treatment, the biggest limitation was that not all the children, included in the study, had the same mucositis severity. In order to get more clear results in the mucositis treatment, children with the same level of mucositis (ie only grade 3 and 4 ) had to be compared. Significant results of this study will be a base for the future studies. Chiappelli F. The molecular immunology of mucositis: Implications for evidence based research in alternative and complementary palliative treatments. Evidence-Based Complementary and Alternative Medicine 2005; 2(4): 489-494. Kefe DMK. Mucositis guidelines: What have they achieved, and where to from here? Support Care Cancer 2006; 14(6): 489-491. Cheng KKF, Molassiotis A, Chang AM, Wai WC, Cheung SS. Evaluation of an oral care protocol intervention in the prevention of chemotherapy-induced oral mucositis in paediatric cancer patients. European Journal of Cancer 2001; 37(16): 2056-2063. Rojas de Morales T, Zambrano O, Rivera L, Navas R, Chaparro N, Bernardonni C et al. Oral-disease prevention in children with cancer: Testing preventive protocol effectiveness. Medicina Oral 2001;6(5): 326-334. Tomlinson T, Gibson F, Treister N, Baggott C, Judd P, Hendershot E et al. Challenges of mucositis assessment in children: Expert opinion. 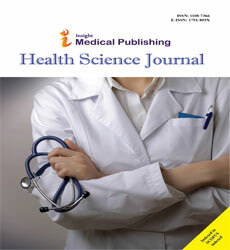 European Journal of Oncology Nursing 2008;12(5): 469-475. Knox JJ, Puodziunas AL, Feld R. Chemotherapy-induced oral mucositis. prevention and management. Drugs Aging 2000;17(4):257-67. Kwong KK. Prevention and treatment of oropharyngealmucositis following cancer therapy: Are there new approaches? Cancer Nursing 2004;27(3):183-205. Karthaus M, Rosenthal C, Ganser A. Prophylaxis and treatment of chemo- and radiotherapy induced oral mucositis-are there new strategies? Bone Marrow Transplant 1999;24(10):1095-1098. Naidu MUR, Ramana GV, Rani PU, Mohan IK, Suman A, Roy P. Chemotherapy induced and/or radiation therapy induced oral mucositis-complicating the treatment of cancer. Neoplasia 2004;6(5):423-431. Wohlschlaeger A. Prevention and treatment of mucositis: A guide for nurses. Journal of Pediatric Oncology Nursing 2004; 21(5):281-287. Worthington HV, Clarkson JE, Bryan G, Furness S, Glenny AM, Littlewood A et al. Interventions for preventing oral mucositis for patients with cancer receiving treatment (Review). Cochrane Database of Systematic Reviews 2011; Issue 4. Worthington HV, Clarkson JE, Eden OB. Interventions for preventing oral mucositis for patients with cancer receiving treatment. Cochrane Database of Systematic Reviews 2006; Issue 2. Trucci VM, Veeck EB, Morosolli AR. Current strategies for the management of oral mucositis induced by radiotherapy or chemotherapy. RevistaOdontoCiência 2009; 24(3):309-314. Costa EM, Fernandes MZ, Quinder LB, de Souza LB, Pinto LP. Evaluation of an oral preventive protocol in children with acute lymphoblastic leukemia. PesquisaOdontologicaBrasileira 2003;17(2):147–50. WHO handbook for reporting results of cancer treatment. Geneva, Switzerland: World Health Organization Offset Publication; 1979: 48. Eilers J, Berger A, Petersen M. Development, testing, and application of the oral assessment guide. Oncology Nursing Forum 1988;15(3):325-330. Gandemer V. Multicenter randomized trial of chewing gum for preventing oral mucositis in children receiving chemotherapy. Journal of Pediatric Hematology/ Oncology 2007;29(2):86-94. Hogan R. Implementation of an oral care protocol and its effects on oral mucositis. Journal of Pediatric Oncology Nursing 2009;26(3):125-135. Ribelles LM, Guinot JF, Mayné AR, BelletDalmau LJ. Effects of xylitol chewing gum on salivary flow rate, pH, buffering capacity and presence of Streptococcus mutans in saliva. European Journal of Paediatric Dentistry 2010;11(1): 9-14. Söderling E, Hirvonen A, Karjalainen S, Fontana M, Catt D, Seppa L. The effect of xylitol on the composition of the oral flora: A pilot study. European Journal of Dentistry 2011;5(1):24-31. Thaweboon S, Thaweboon B, Soo-Ampon S. The effect of xylitol chewing gum on mutans streptococci in saliva and dental plaque. Southeast Asian Journal of Trop Medicine Public Health 2004;35(4):1024-1032. Poland KE, Higgins F, Orchardson R. Salivary flow rate and pH during prolonged gum chewing in humans. Journal of Oral Rehabilition 2003; 30(9):861-865. Fraga CPT, Mayer MPA, Rodrigues CRM. Use of chewing gum containing 15% of xylitol and reduction in mutans streptococci salivary levels. Brazilian Oral Research 2010;24(2):142-146.